Interior Details, We’re Talking Trim!!! As the weather begins to cool down, things are heating up at American Country Estates! We have sold our last remaining inventory home, and two premium building lots. It is truly exciting to see the changes, and all the new activity. We still have some choice lots for sale and you can access our inventory through this link. 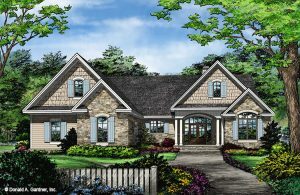 We a re releasing for construction our new model the Primrose. The Primrose features three bedrooms, and two baths over its spacious 2,047 square feet. Based upon your feedback, we incorporated massive closets, a separate mudroom, and a huge walk-in pantry. We love the way this floor plan and elevation turned out. Nina is still deciding on exterior and interior finishes, so feel free to send us your thoughts either through Facebook, or email info@homesbydhr.com. Right behind the Primrose, we are starting another new model the Lucerne. 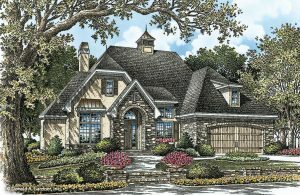 The Lucerne has a dramatic front elevation, three bedrooms, two baths, and a finished bonus room. NEW – Second Amended And Restated Declaration Of Restrictions And Protective Covenants Primrose Moving Fast! ©2019 Homes by DHR Of Oklahoma, LLC. All Rights Reserved. Fill out required fields below * then press the submit button. A representative will be in touch shortly. Gets a Printable Brochure Sent to Your Email.